Emory University Human Resources Office (HR) is the central location for information on all Emory University benefits and payroll information. The following information is for all postdoctoral fellows. See the summary table of benefits eligibility for more details. For a complete list of benefits go the HR Benefits page. Health insurance is required of all postdocs. Single person coverage with a family option is available through Emory programs as an employee benefit with the University. Health insurance enrollment is at the time of hire during the Human Resources Orientation sessions for new postdoctoral fellows. If the trainee elects to waive health insurance coverage through the University, he/she must certify that they have at least comparable medical coverage. Dental insurance is offered through the University though not required of postdocs. Single coverage with a family option is available through Emory programs as an employee benefit with the University. Postdoctoral fellows have 21 calendar days that contains 15 business days per year. The year is based on the yearly anniversary date of the initial hire date as a postdoctoral fellow at Emory University. Unused leave is not carried over to the next year or paid at the end of termination of the position. The postdoctoral fellow who does not use his/her leave in the year it is available loses the leave. This policy is often called “Use it or lose it”. Postdoctoral fellows should discuss leave with their mentors in advance of making plans for leave. There are nine (9) official paid Emory holidays each year. These are New Year’s Day, January 1, Martin Luther King Holiday, Memorial Day, Independence Day, July 4, Labor Day, Thanksgiving (2days) and Christmas Day, December 25. (2 days). There are twelve (12) calendar days that contains 10 business days of paid disability/sick leave per year. The year is based on the yearly anniversary date of the initial hire date as a postdoctoral fellow at Emory University. Unused leave is not carried over to the next year or paid at the end of termination of the position. In cases of need, up to six months total disability leave (paid plus unpaid) can be used at the discretion and approval of the mentor. By the Family Medical Leave Act (FMLA), Emory University postdoctoral fellows have a safe position for twelve (12) weeks of leave for family reasons. For maternity/family leave, postdocs must use both paid vacation leave and disability leave before sequentially taking unpaid leave up to 12 weeks. Combining the 21 calendar days of vacation leave and 12 calendar days of the disability/sick leave adds to 33 possible paid days for maternity leave prior to taking unpaid leave. At the time of starting maternity leave, the amount of unpaid leave the Postdoc would request would depend on how many days of paid vacation and paid disability/sick leave she/he has used in the last year. The year is based on the yearly anniversary date of the hire date as a Postdoc at Emory. Postdocs should provide a written request to the mentor at least thirty (30) days before anticipated start of leave or as soon as possible under unforeseen circumstances. A statement from the health care provider is required for birth and care of a newborn child and appropriate court documents are required for foster care placement or adoption of a child. Departmental business administrators can provide the necessary forms for completion. Family Medical Leave Act leave is also available for care of a spouse, domestic partner, child or parent with a serious health condition. During unpaid leave, the Postdoc may continue health and other insurance participation but must make arrangements to directly pay his/her share of the contributions; retirement contributions cannot be made. After one (1) year of employment at Emory and age 21, Postdocs are eligible to make voluntary contributions on a pretax basis to a retirement plan, with a minimum of 1% of salary or $200 per annum. Emory will contribute 6% of the postdoc’s salary and a matching contribution of 1.5% to a 1% contribution by the postdoc or 3% contribution to a 2% contribution by the postdoc. The Courtesy Scholarship is a grant that covers tuition exclusively (not textbooks, fees or other miscellaneous charges). It is made available to Emory employees and their family members who apply and are admitted for enrollment in academic programs at Emory University. The percentage of tuition covered depends on your years of service. For more information on the program, eligibility and application procedure, visit the Courtesy Scholarship page. Emory provides a Tuition Reimbursement Program to eligible employees for enrollment in job-related or career path directed coursework at educational institutions other than Emory University. For more information about eligibility and how to apply, visit the Tuition Reimbursement site. The minimum salary for beginning postdoctoral fellow at Emory University School of Medicine is linked to the NIH and NRSA standards for both non-NRSA and NRSA funded postdoctoral fellows. The minimum requirements are updated annually, please contact OPE to receive the salary tables for the current fiscal year. For tax-related information please visit the Overview of Tax Issues for Postdocs on the National Postdoc Association website. FSAP provides professional counseling, consultative, and educational services designed to enhance the health, performance and well-being of individuals and organizational units. The Emory Work-Life Resource Center promotes and strengthens the work-life culture for Emory University faculty, staff and graduate students. The Center integrates a wide range of practices, programs and processes that sustain individuals and families within the University environment. Below is a sample of the programs offered by the center. Visit the Work-Life Resource Center website for more details. Visit Supporting Our People to learn about all the other services available on campus. 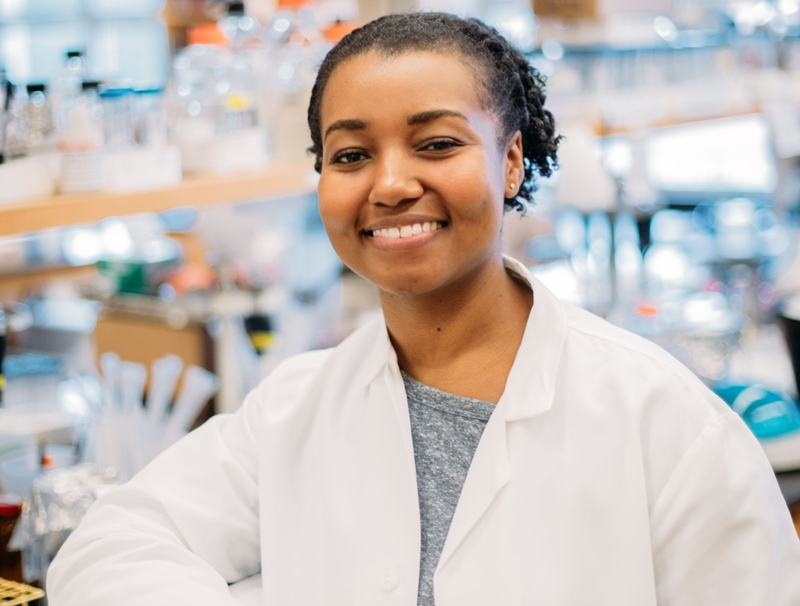 Georgia Bio - Emory postdocs can join Georgia Bio for free. Georgia Bio offers different events and seminars. Association for Women in Science - Emory postdocs can join AWIS at no cost as Emory sponsors the membership.